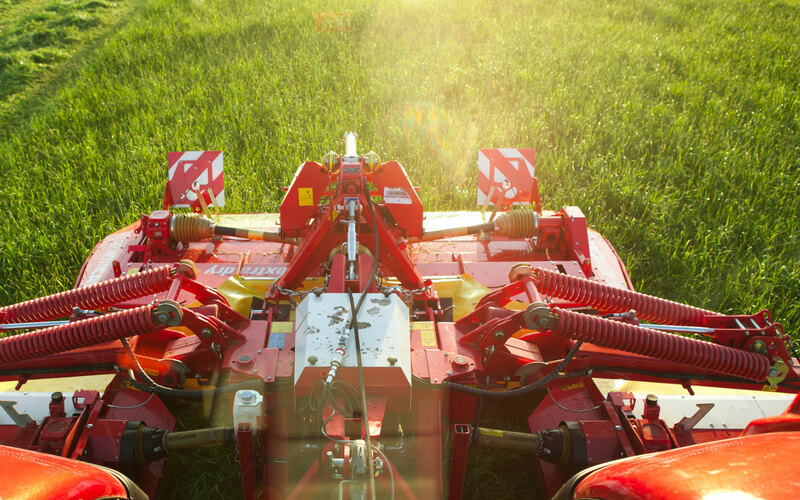 TwinTrac is not just a piece of optional equipment but a complete tractor that has been designed to work in both directions. The system includes additional controls in the rear of the cab, including an extra steering wheel and forward-reverse shuttle, plus accelerator, clutch and brake pedals. In Versu and Direct models, the Valtra ARM driver's armrest brings all the controls to the rear of the cab at the turn of a seat. The driver's seat in Valtra tractors swivels through 180 degrees, so you can easily change direction without leaving the seat. Working in reverse offers significant health benefits as twisted postures of the back and neck can be reduced to a minimum. For a full overview download the research report. When working in reverse, visibility of the implement and working area is excellent. Many implements also work better in front of the tractor and especially the tractor's wheels, minimising crop flattening before entry to the machine. The large cab provides an ideal working environment when working in reverse. TwinTrac enhances versatility while taking nothing away from the tractor's other excellent properties - the rear of the tractor also has all hydraulic operations, powerful linkage with position control and a multispeed PTO. Valtra tractors are also available with only the rear accelerator pedal. With the pedal the engine speed can be increased in order to increase hydraulic power for loading and excavation work. Valtra is the only manufacturer to offer reverse drive as a factory fit option on tractors from 99hp up to 400hp! TwinTrac is available for Valtra N, T and S Series tractors. Each Valtra tractor is custom-built to meet the specific needs of their owners. The TwinTrac reverse drive system is just one of many unique features that help increase productivity. For more information and a detailed quotation contact your local Valtra dealer ».